In a bit of good news for NSW solar PV system owners, state regulatory body IPART has released a draft report recommending that the benchmark solar feed-in tariff rate be increased to 11.6 – 14.6c per kWh (c/kWh). This is significant increase over current rates of roughly 6-8c/kWh, and is sure to greatly brighten the outlook for going solar in the state – not to mention make the 350,000-odd households with preexisting systems very happy. This article at some of the most important pieces of information to keep in mind about the impending change. 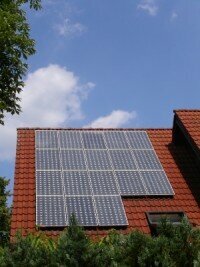 IPART’s recommendations appear to be good news news for solar system owners. Firstly, there were roughly 140,000 NSW households who recently lost their their government-backed 60c or 20c/kWh solar feed-in tariffs at the beginning of 2017. The dramatic reduction that these households experienced is surely fresh in their minds as a bitter experience. Also significant is the fact that this is the first time that solar feed-in tariff rates have undergone a noteworthy increase since the state’s government-backed Solar Bonus Scheme closed to new applicants back in 2011. Despite the relatively low FiT rates that have been in place since then, solar has long been a worthwhile investment due to low system installation prices and high grid electricity prices in the state. Below, we break down the implications of IPART’s proposed increase into three chunks. The report is still a draft, with the final version & accompanying recommendations due to come out in June after IPART has considered feedback on the draft. Between now and then IPART could theoretically change the recommended amount, but past experience indicates that any changes are likely to be minor. There is still no mandatory minimum solar feed-in tariff in NSW: The rates that IPART publishes are benchmark rates only, serving as a guideline for both retailers and electricity retailers. Basically, the benchmark rate range lets solar system owners know what a fair rate looks like. Retailers can set any rate they like, but those who set lower rates are unlikely to attract solar customers. The primary reason that IPART has made this made this recommendation is that wholesale electricity prices are increasing. The first thing to take away from this is that electricity retailers will begin to charge higher retail electricity rates to cover the wholesale price increases. The second is that the solar energy that your system produces will be worth more to your retailer. Electricity tariffs: Your electricity retailer purchases wholesale electricity from the National Electricity Market (NEM) and maybe some other sources, then bundles it with other charges (including a their own markup) and then resells it to you. Wholesale prices on the NEM change every half hour (soon to be every five minutes), jumping up and down all day long. Your retailer basically smooths them out and gives you a predictable, fixed price for the term of your contract based on what they estimate the wholesale price will be over that period – and wholesale prices are rising. Solar feed-in tariffs: From your retailer’s perspective, the value of the solar energy you send into the grid is equal to the wholesale rate at the time (e.g. 11am on Thursday 4 May). 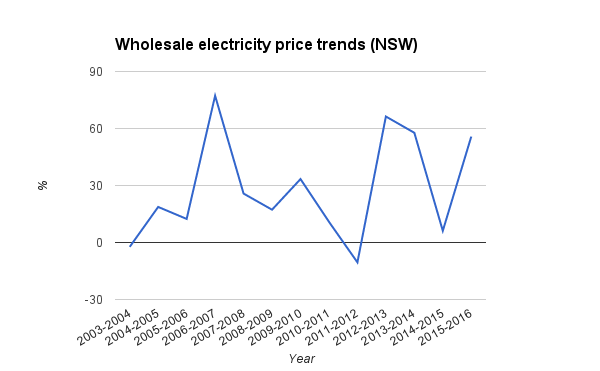 If wholesale electricity prices have risen, your electricity retailer should compensate you accordingly. If they don’t offer you more, they’re basically pocketing the difference and profiting at your loss. And because the benchmark feed-in rate is not compulsory, there’s nothing to keep them from doing so besides pressure from you (i.e. threatening to switch to a different retailer). 3. So what should you do? If you’re reading this, you’re probably either someone who already has a solar system or someone who is thinking about getting one installed. The implications of the proposed 1 July change are slightly different depending on which one of these two types of people you are. If you already have solar, your current retailer is unlikely to increase your feed-in rate out of the goodness of their hearts once 1 July rolls around. The flip side of that is that if you’re on a contract with them, they also won’t be able to immediately jack up your usage rates. You might be able to switch to a different retailer who does offer a higher rate, but be wary of whether or not doing so will also mean higher usage charges as well – as an increase there could offset any gains you might see from the the higher feed-in rate. In short: take your time and decide carefully. Talk to your retailer – it might even make the most sense to wait until your contract is up before switching (check out EnergyMadeEasy.gov.au to compare plans). If you don’t have solar yet, now’s probably a good time to start looking. As the table below indicates, an increase to solar feed-in and/or retail electricity rates will result in faster solar system payback times, which is great for anyone looking at solar from an investment perspective. As many Australians already understand, overall energy bills are also likely to be lower for homes that go solar. If you end up going solar, you’ll probably want to switch retail electricity plan to one that’s as solar-friendly as possible (check out EnergyMadeEasy.gov.au to compare plans). I read all the information on FIT (which are good) but to make a decision I need to compare both input and output figures. Is there a site where I can do this? You can try using our Solar System Payback & ROI Estimator tool or check out WattEver.com.au to do a detailed comparison of plans. Hope this helps. Good question, John. Standard offer feed-in rates generally only cover residential solar systems – what rates apply for commercial systems will depend on the circumstances (and may require negotiating with the retailers if the network allows export in the first place).